Jessica Chastain has always been diligent about keeping her private life out of the public eye, and her journey to becoming a mom is apparently no exception. In surprising news, it’s been confirmed that Chastain and her husband, Gian Luca Passi de Preposulo, welcomed their first child earlier this year. After reports surfaced over the weekend about the couple’s new baby, E! News confirmed on Monday that Chastain and Passi de Preposulo welcomed their now 7-month-old daughter Giulietta Chastain Passi, who was born in Los Angeles, via a surrogate in April. Chastain was spotted in October pushing a stroller around the Boston set of her upcoming film, Eve, first prompting rumors of her status as a new mom. Then last week, Chastain and Passi de Preposulo were photographed together carrying a baby carrier to a pediatrician’s office in New York City. According to Page Six, they were at one point joined by another woman who the outlet speculated might be the baby’s nanny. Page Six also reports that little Giulietta joined her parents in Paris for Galeries Lafayette’s annual Christmas window reveal on Nov. 7. Chastain was appearing in her official role as the company’s celebrity ambassador. It would seem Giulietta is already being introduced to a life of travel, which makes sense given her parents’ professions. Chastain and Passi de Preposulo, a fashion executive, have been together for about six years. They tied the knot in an intimate ceremony at his family estate, Villa Tiepolo Passi, in Italy last June. Prior to meeting Passi de Preposulo, Chastain told WSJ magazine in February that she never planned to get married. We imagine the couple also celebrated the birth of their first child, which is obviously an exciting addition to their family. 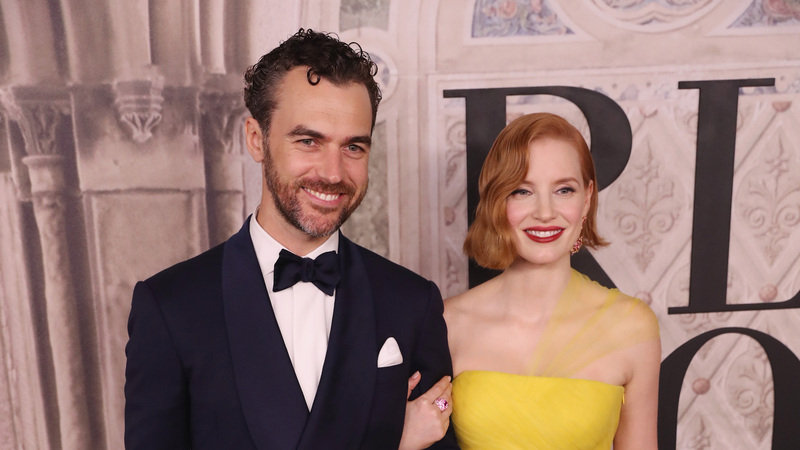 At the time of reporting, Chastain has not commented on Giulietta’s birth, though we hope she does, because we’d love to hear how she’s adjusting to life as a new mom.